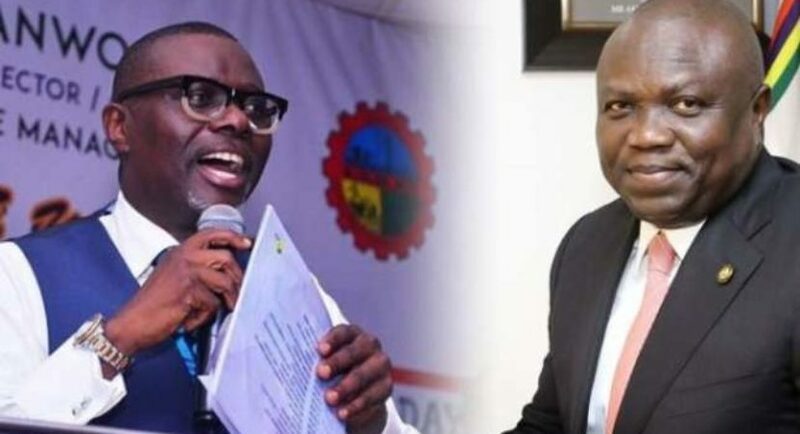 The anointed candidate of the National Leader of APC for the governorship ticket of Lagos state APC Sanwo-Olu Babajide has responded to the jibes thrown at him by the Lagosstate governor, Akinwunmi Ambode in his world press conference today. In his response, Sanwo-Olu in a press statement released to media houses said he can never attack the character of the governor even when he attacks his own character as that is not the reason he wishes to be a governor. “My pursuit of office will continue to be based upon issues that matter to Lagosians and not on attacks against someone’s character, even when he attack mine”. “Let it be heard by all that I hold the people of Lagos state with great respect and affection. Their welfare is my utmost concern and it is what drives my pursuit for the governorship nomination of the APC. As such, I also hold the office of governor of our state in high esteem. I shall never consciously do anything that will undermine the dignity of the office nor will I engage in personal attacks against the holder of that officer. My pursuit of office will continue to be based upon issues that matter to Lagosians and not on attacks against someone’s character, even when he attack mine. For anyone to engage in unwarranted character attacks against me, reveals more about that person’s character than it says about mine.